Lelly brings warmth and focus to body, mind & heart in the morning Mindful Vinyasa classes, easing us into our innermost intelligence and enlivening our Yang qualities of creativity and engagement. Afternoon sequences are restorative Yin-style yoga to re-hydrate connective tissue, juice up the joints and balance us out by opening up our contemplative, receptive & intuitive qualities. 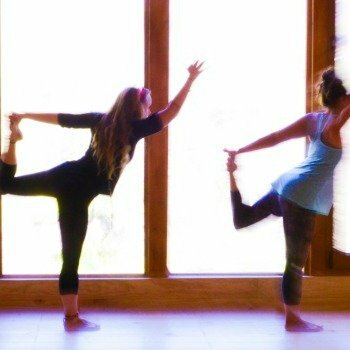 Always curious to uncover new and ancient ways to embody our yoga so that it may support us both on and off the mat, Lelly infuses her classes with yogic nutrients that inspire & motivate , balance & recalibrate, whilst developing our attention (our most powerful ‘muscle’), so that we can enliven prana & hold space for the diversity within & around us. Lelly initially trained as a yoga teacher 20 years ago with the Sivananda school in India and has also studied Dynamic Yoga Method with Godfrey Devereux and Insight yoga and Yin yoga with with Sarah Powers. Many people are initially introduced to yoga for stress relief. The cause of stress is an inability to cope with activity. Intuitively the stressed person will usually attempt to regain control by thinking and working faster, but this burden of additional activity causes the mind to become even more estranged from the physical body, thereby increasing their inability to cope with activity. Whereas the thinking mind can be a mill of ideas and worries, our body always speaks to us clearly and without speculation. Our thinking mind can relax more easily when it is tethered to our physical body – during yoga posture practice we achieve this via the breath. By linking the body & breath in a smooth sequence of mindful yoga postures, we start to relax, then we begin to experience greater intimacy with people around us, in a completely natural way, and our levels of stress begin to recede. Arantza (pronounced Ar-an-cha) was raised in the Basque region of Spain and has traveled the world. She is a graduate of Sivananda Yoga Vedanta Centre in Kerala and studied yoga with BKS Iyengar and Dynamic Yoga with Godfrey Devereux. Her vinyasa yoga classes are invigorating and powerful, delivered with no-nonsense simplicity and down-to-earth Zen wisdom. Leah has practiced yoga for over 20 years and has taught since 2003. She prepares you for an inward yoga journey to a direct experience of how yoga practice brings inner peace and balance. TKV Desikachar, BKS Iyengar and Vanda Scaravelli and alternative approaches to movement and body awareness including Feldenkrais, Qi-gong & dance. Professional life: Before yoga, Leah was a human rights lawyer representing clients in court and delivering training for new recruits on relevant law and procedure. This method can reveal tensions or disassociations that we were not yet aware of and that we are constantly creating due to pernicious habits. In yoga, we seek to cultivate presence within each subtle movement. Unlike habit, presence is always fresh, it never hides and it’s deep wisdom undermines any unskillful patterns of behaviour, leading to personal freedom. The repetition of a sequence of postures has various functions: (1) it prints the sequence into our memory so that it can be easily adopted as a self-practice; (2) it forms a tangible framework that makes the subtle nature of Awareness more tangible; (3) the rhythm of your movements synchronising with your natural breath becomes a moving meditation that soothes the wandering mind and dissolves tension in the core of your nervous system. Jenni excels at helping students of all ages to engage and connect more satisfyingly with themselves and with all aspects of life. She shares her love of yoga with students like a keen gardener – planting seeds, tending them and encouraging development. Always seeking balance, she will challenge and support you, providing a safe space for enquiry and experimentation. In each class she encourages students to practice yoga in a compassionate and light-hearted way, combining the somatic sequencing of the Dynamic Yoga Method with elements of Ashtanga and Vinyasa flow. Jenni’s classes are suitable for beginners/novices as well as experienced practitioners. All you need to bring is an open mind. It depends on developing the ability to focus with sensitive, honest, open and non-judgemental awareness on your inner experience. Many “advanced” students are able to twist themselves into all sorts of wonderful impressive shapes, but they will be more nourished by a simple sequence of slow, repetitive, mindful vinyasa, thus experiencing a new depth of awareness and its meditative consequences. The desire for more variety really comes from the seeking mind, but the dynamic yoga method quickly reveals that variety is not nearly as exciting as the juicy, sharp clarity and energy that come from experiencing the inner presence of your real self.